This was a rig parked by the "Shoe Tree". 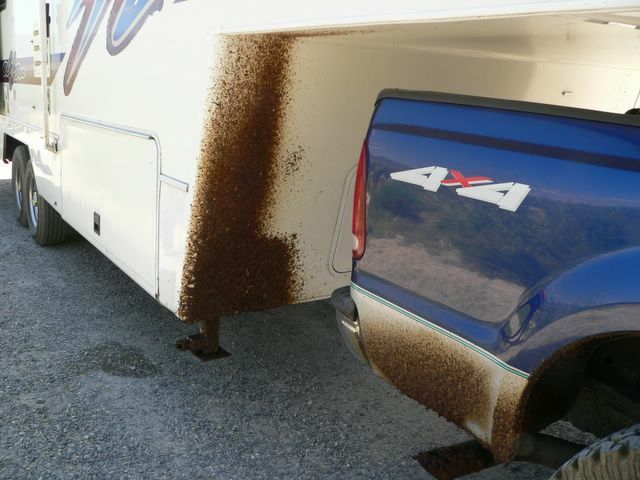 The Cricket residue was about a half inch thick on the trailer. The steps were also just covered. They had been just in front of us. We went through and area that was so full of the crickets they had snow plows out getting them off the road. They are very slick to ride on, and make popping noises when you run over them.